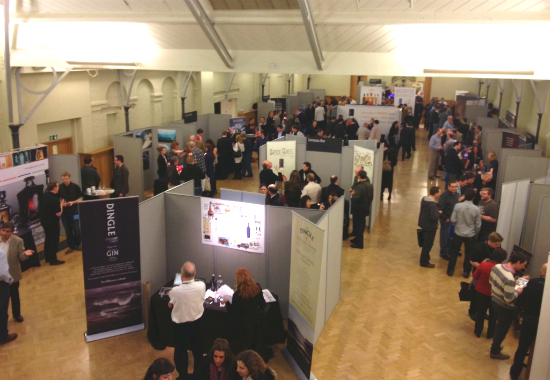 Once again, TWE were in full effect at last weekend’s Whisky Live in London, which was held in its now-traditional location of Armoury House, home of the British Army’s oldest regiment, the Honourable Artillery Company (HAC). Today, the Company regiment is part of the Territorial Army, the HAC itself is a registered charity and Armoury House resembles a rather genteel club for retired members of HM Forces. It’s an august 18th century stone building that has the misfortune to find itself just five minutes walk from the pitiful harum-scarum of Shoreditch, home of the world’s most desperate wannabe hipsters, exploited by achingly trendy bars peddling laughably overpriced beer (although there are some very good cocktail bars tucked away as well) and various ludicrosities such as pop-up container retail parks (don’t ask). Arriving around 1.30pm, I was just in time to help my colleagues assemble the TWE Official Retailer stand (note to self: next time, arrive a bit later). No sooner had this been achieved than the thirsty masses began pouring into the room. I escaped the initial frenzy by popping upstairs to one of the House’s private rooms with Jon Bryant of Living Room Whisky, who had very kindly given me his spare ticket for a tasting of a selection of the previous night’s World Whisky Awards Winners, presented by the affable Whisky Magazine editor (and WWA Chairman) Rob Allanson, aided and abetted by Neil Ridley & Joel Harrison. We kicked off with Glenkinchie 12 year old, which had pipped my favourite Auchentoshan Valinch to pick up the gong for Best Lowland Single Malt. On the nose the Glenkinchie was nuttier than I remembered, with some bark and leafy notes. The palate was quite youthful with autumn leaves, hay and some tingling spice before a brief, drying finish. I found water didn’t flatter this one, lifting a rather sharp piney note. Next up was a departure – the Balcones True Blue 100 Proof, winner of Best Non Bourbon American Whiskey at the WWA. For those who haven’t heard, Balcones is a rising star of the US craft distilling movement, whose resourceful owner Chip Tate is something of a handyman, having made most of the distillery equipment (including the stills) himself. Amongst other things, Balcones are known for using an unusual variety of corn to make some of their whiskies: atole, also known as Blue Corn due to the livid colour of its grains, a popular ingredient in Mexican cuisine. They make two whiskies from atole, of which True Blue is the older and higher strength. Balcones True Blue has gingerbread syrup, cedarwood and Weetabix with lots of brown sugar on the nose, developing wet leaves and Cadbury’s Caramel when left in the glass. 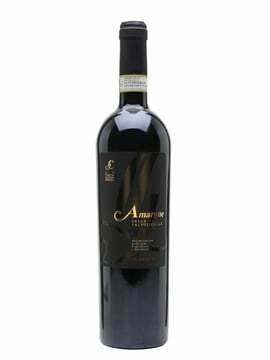 The palate is quite sharply alcoholic at full strength but has a pleasing unctuousness in the mouth. The sweet gingerbread from the nose is joined by a metallic note, dark chocolate bitterness and green apple skin before proceeding to a very sweet finish. Time in the glass reveals a very biscuity, wafery note, while water brings out a wet newspaper aroma – this is best at full strength. The third whisky we tried was Sullivan’s Cove French Oak, a single malt from Tasmania that had been named as Best Australian Single Malt at the WWA. The nose had an interesting floral note, quite unusual, with some peapod aromas, winey notes, sugared almonds and a wisp of perfume. On the palate, the perfume was stronger, with strong pot pourri notes and a dusty wineyness (if that’s a word). We moved onto the Best African Single Malt: Three Ships 10 Year Old. 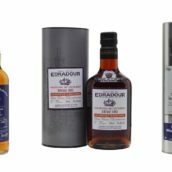 Admittedly, African malt is not a particularly huge category at the present time, but the Three Ships is a very good whisky nonetheless – and it was my favourite whisky of the tasting. Later in the day, I was lucky enough to chat with Andy Watts, a Yorkshireman and former professional cricketer who is now the master distiller at Wellington’s James Sedgwick distillery, which produces Three Ships. Andy got his distilling know-how during a stint with Morrison Bowmore around the turn of the 1990s, and his stills at James Sedgwick (named after the founder, another Yorkshireman who set up the distillery in 1886 – yes, 1886) are designed to resemble those at Bowmore. The whisky itself has a very appealing honeyed nose with heather and a faint wisp of smoke, plus hints of honey, malt loaf and marshmallows. The palate exhibits a more forward turfiness and a hint of sweetpea and honeysuckle, before giving way to a finish of peppery spice, rounded smoke and barley sugar. A whisky that wears its influences well, while standing alone in its own right, this was an excellent dram and I look forward to seeing more from this distillery – hopefully much more, as their Bain’s Cape Mountain Whisky has just won World’s Best Grain Whisky at the WWA as well. The final whisky of the tasting was the WWA’s Best Island Single Malt which, not for the first time, was won by Talisker – this year it was the Distiller’s Edition. On the nose I found vanilla cheesecake, warm milk and very forward oak; the palate showed the wood too, as well as being very raisiny, with the more familiar Talisker bandages and pepper. The finish was sweet, woody and of a decent length. Returning to the main hall after the tasting, I proceeded immediately to the stand of our good friends and occasional partners in crime, Berry Brothers & Rudd. 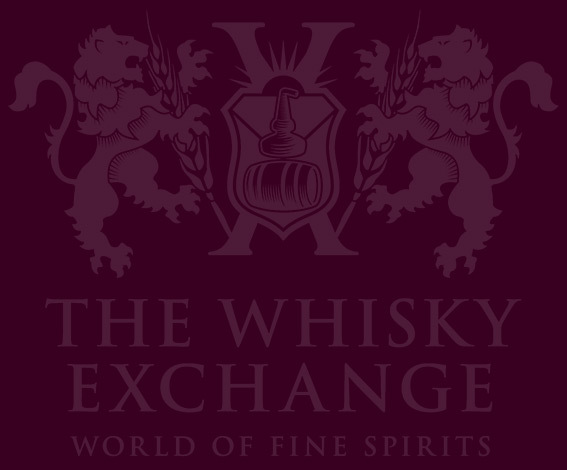 BBR, as well as having genuinely friendly staff who wear their comprehensive whisky knowledge very lightly, are almost guaranteed to have the best whiskies at any whisky show they attend (if it doesn’t have a Speciality Drinks stand, of course), so they’re always my first port of call at Whisky Live. BBR’s lovable Rob & Rocky had plenty of gems on show, but with great effort I limited myself to the four bottles of their most recent out-turn that I was most interested in. The first of these was the Bruichladdich 1991, which was very nice – honeysuckle, sugared almonds & sweetpea on the nose, with a nice bready, honeyed character on the palate and a hint of blackcurrant leaf on the finish. Next, I tried the Glenlossie 1992, from a distillery that I have very little experience of as the vast majority of its output goes into parent Diageo’s Haig blended whisky. This, I’m guessing, was a refill bourbon cask. At any rate, it showed delightful notes of sweet, clean vanilla cream, fresh oak with plenty of cinnamon spice, apple and sugared almonds, which grew into the nutty finish. I really enjoyed this. 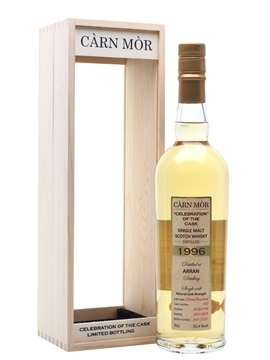 The third BBR dram I tried was the Glen Moray 1991 – this was presumably another bourbon cask, it was heathery with sweet oak spice, and a dominant vanilla cheesecake character, even down to the biscuit-base finish. Terrific stuff, and great to have a cracker from a distillery we rarely see at this age. The final dram I tried from Berry’s before wrenching myself away was a Tormore 1992, this time from a sherry cask. Tormore is another distillery I have very little experience of other than the rather insipid 12 year old official bottling that appeared about ten years ago. As with Glenlossie, the reason for the dearth of Tormore bottlings on the market and the distillery’s comparative obscurity is that the vast majority of its output is destined straight for the parent company’s (in this case Chivas Brothers) blended whiskies (in this case Ballantine’s and Long John). BBR’s Tormore 1992 is a rich chestnut hue and has a pleasingly dusty sherry character, almost like an old cognac. Polished wood, cocoa and a nutty, oloroso-esque finish make this one not to be missed. Moving on, I was particularly taken with Compass Box’s Entertainer, a deliciously bandagey, flinty, seashell-like dram made for a posh London department store (and sadly very difficult to get hold of) and a really excellent Miyagikyo from the Scotch Malt whisky Society, before coming back down to the realms of the obtainable with Bunnahabhain’s Toiteach, the distillery’s official version of their peated malt. 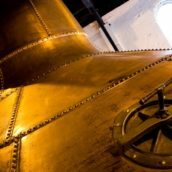 Toiteach displays savoury notes of burnt ham and liniment initially, alongside roasted malt, baked beans and smoky caramel. On the palate I got tarry rope, moss, and some upfront kipper smoke phenols developing into a real full-on medicine cabinet character with a hint of woodglue at the death. I realise that on the face of it those aren’t necessarily the most appealing descriptors, but I really enjoyed this dram’s savoury complexity. One of my favourite ever official Bunna’s. Time was running short now, and there were a few tired eyes around the hall. I made my obligatory stop at the Nikka stand (another sure bet for the best whiskies at any show they attend) and with a superhuman effort of restraint restricted myself to just a few of their excellent drams. I started with the Nikka Coffey Grain, which won its category at the World Whiskies Awards this year, and deservedly so. Billy once took home a bottle of this whisky on a Friday and when I asked him on the Monday how it was, the answer was ‘Finished’. Thanks to a certain South-coast-dwelling hirsute whisky mystic who mixed it with coconut water for us a few weeks ago, it’s now also one of the only whiskies that my wife will willingly drink. Nikka Coffey Grain shows toffee, tweed, glue, coconut cream and Bounty bars, with hints of cinnamon bark and butcher’s plastic bags. Develops on aromatic wood (cedar & sandalwood) and honeyed muesli. A terrific whisky – ridiculously easy on the palate and very moreish. Next up at the Nikka stand was the Miyagikyo 12 year old, which had also won its category at the World Whiskies Awards. This was another brilliant whisky. Miyagikyo is located in the Northern part of Honshu and used to be marketed here as Sendai, fact-fans. The 12yo Miyagikyo came across like a rich Lowland or lighter-style Speyside, with meadows, fresh fruit salad, apple and white grape notes most prominent. The balance of sweet fruit and strength on the palate was just exquisite, the 45% giving it just enough oomph and the palate’s integration of flavours quite extraordinary. Finally, and with extreme regret that I didn’t have time to stay and do the whole range, it was time for a special treat – Yoichi 20 year old. This whisky has a reputation as one of the finest produced in Japan (Jim Murray once gave it 95 points in the Whisky Bible), and is bottled at a hearty 52%. On the nose, the Yoichi shows honey on hot-buttered toast, mild raisiny sherry fruit and lightly smoked oak. It’s very appealing but gives little hint of the explosion to follow. For on the palate, Yoichi 20yo is a beast, unleashing some excellent phenols on a bed of the most beautifully honeyed malt. This is one of those great whiskies that keeps developing, both on the palate and in the glass. I found Highland-style smoke and some tweedy notes developing, before a gorgeous array of woodsmoke, honey and cooked apple on the finish. A triumph. 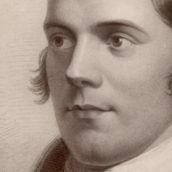 Time was marching on, and my palate was getting a little tired, so for a change of pace I visited the stand opposite the TWE shop, where I encountered the ebullient Oliver Hughes. Oliver is the businessman and whiskey fan behind one of Ireland’s new wave of craft distillers, the Dingle Whiskey Distillery, which began distilling at the end of last year. 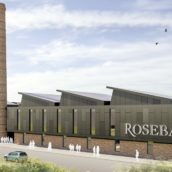 Dingle are making triple-distilled single malt at present (the first bottlings of which will hopefully appear towards the end of 2015) and producing gin and vodka from Swedish grain neutral spirit that they re-distill in a tiny 500-litre still called Oisín. The gin is flavoured with interesting botanicals including chervil, hawthorn, bog myrtle and local fuschia alongside the traditional juniper, angelica and coriander. It was soft and quite sweet with a very nice herbaceousness to it. There was no tonic on the table and they really didn’t need it as the gin was disarmingly easy to drink neat. With my palate refreshed and the show drawing to a close I stopped briefly at the Chivas Brothers stand for quick chat with brand ambassador Phil Huckle and tried the new Strathisla 12 year old. I was a little sad to see that this great malt’s much-needed revamp had included having its strength dropped to 40% (and it does have a slightly alarming Irn Bru-esque hue), but it’s still a very good drinking whisky: nutty and grassy with a clean malty character and hints of vanilla. Finally, with the bouncers circling, I nipped up to the Glenlivet tasting room on the luxuriously-kitted-out mezzanine above the rest of the action. International Brand Ambassador Ian Logan kept us entertained as I whizzed through a quick re-taste of the standard range. I’ve banged on about this before but the distillery’s entry-level drams have never been finer than in the past few years, in my opinion. 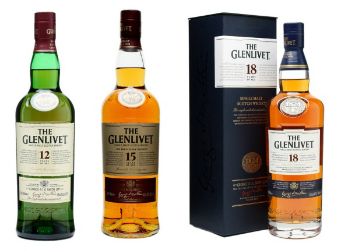 The Glenlivet 12 year old was still excellent: lipsmacking toffee apple notes, hay and hints of tropical fruit (pineapple chunks), then sweetpea, buttered toast and a luscious coconut character. 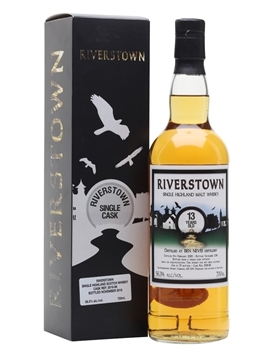 The 15 year old French Oak Reserve was sweeter, with honeyed porridge, flowers and delicious soft oak. And when I finished my sample of the Glenlivet 18 year old I knew that it was time to hit the road. This beautifully complex, fruity dram with background hints of chocolate and cinnamon ice cream was the perfect dram to end with. Also, announcements were being made, the bouncers were pouring the last customers out the door and Ian was tired and wanted to get out of there. Many thanks to all the exhibitors at the show for the excellent whiskies I tried and to Rob & Sophie at Whisky Mag for organising the event.